This screened-in porch was one of our favorite projects in 2014 because of its unique design and open feel. 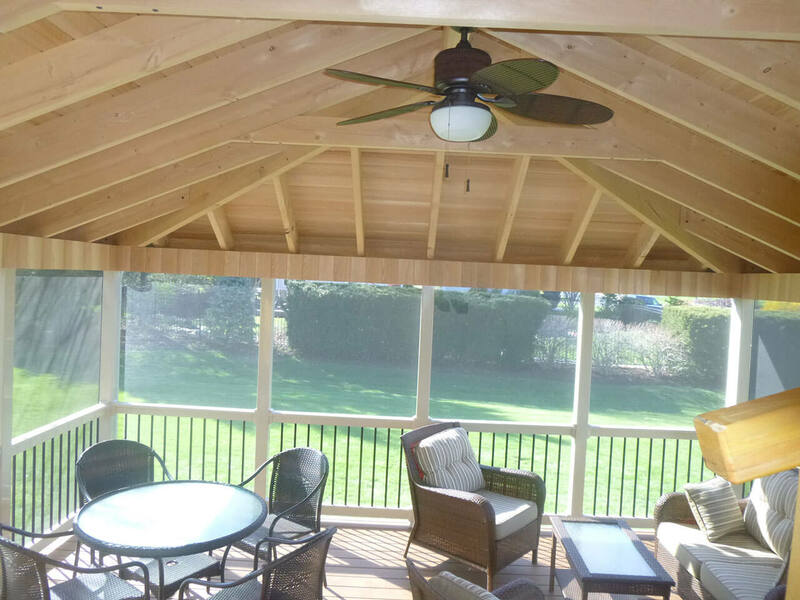 We began the custom build by removing a pre-existing porch and building a brand new one using TimberTech decking and tan vinyl railings with black aluminum spindles. 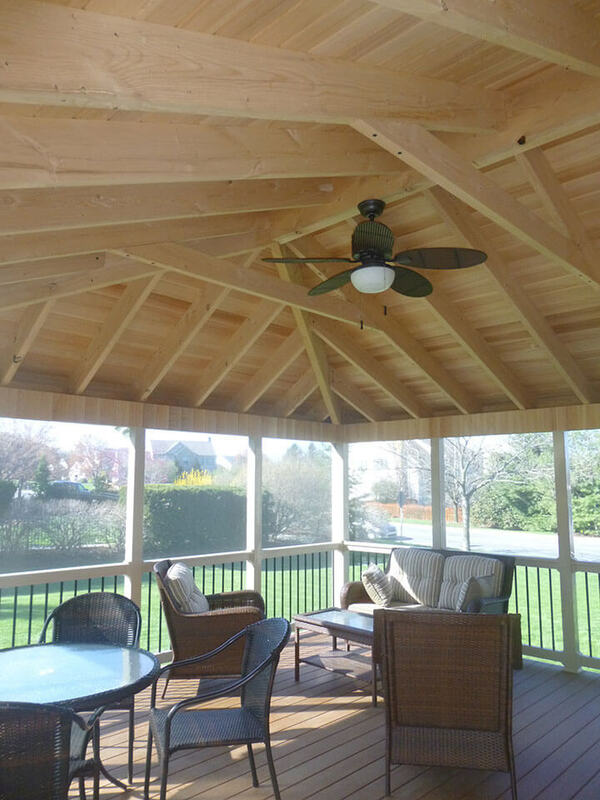 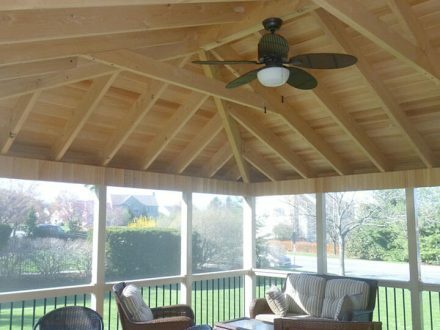 With the customer’s request to have the rafters exposed, we designed the ceiling differently than the standard porch. 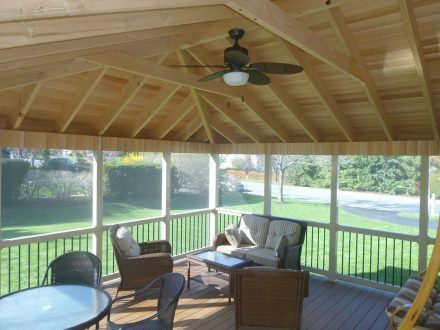 Following this, we then installed a T/G 1×6 cypress wood for the roof decking to create an enjoyable and inviting space. 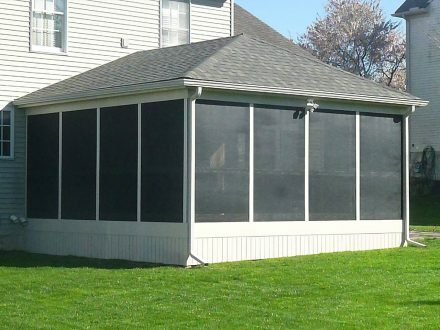 The best part about this project though is the special pet screen, which is designed to create a sense of privacy as it makes seeing in from the exterior more difficult, but does not effect your view when looking from the inside, as shown in the pictures below.